Earn up to 2,560 reward points. 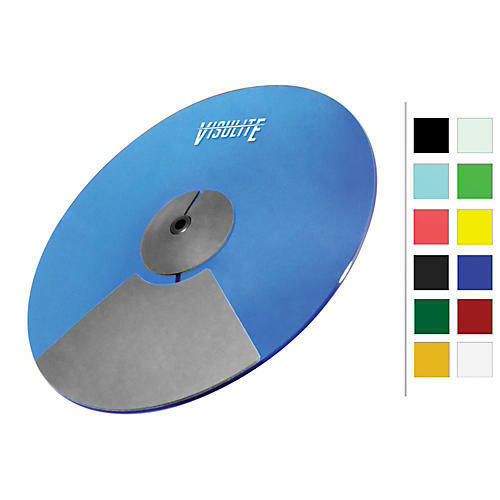 Visulite cymbals offer full-surface triggering and a dozen colors. Pintech's Visulite Series cymbals are hand-formed and sculpted, each cymbal is unique and made with the player in mind. Combined with superior triggering technology and a quiet, durable foam strike zone, these cymbals are sure to take anything you can throw at it. Formed out of 1/4³ acrylic, the Visulite Series of cymbals have a heavier weight than standard electronic cymbals, which provides you with a more natural feel and response. Backed by Pintech's exclusive lifetime warranty and American made!